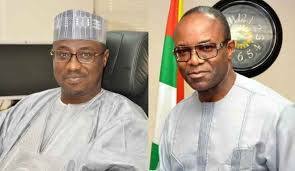 The Minister of State for Petroleum, Ibe Kachikwu, has reported the Group Managing Director of the NNPC, Maikanti Baru, to President Muhammadu Buhari over his activities. In the letter, Kachikwu had complained of alleged humiliation and disrespectful conducts form Baru since his appointment in the last one year. Kachikwu has also used the opportunity to urge President Buhari to take urgent actions on matters ranging from alleged illegal practices to insubordination. The minister said he found it pertinent to call the attention of the president to his misgivings because they’re capable of hindering progress in the country’s petroleum sector or even reverse recorded strides. “To do otherwise or to exempt any of the parastatals would be to emplace a stunted growth for the industry,” Kachikwu said. In furtherance, Kachikwu said he wrote the letter on August 30, 2017 to the President after concerted efforts to have a one-on-one appointment with him failed. 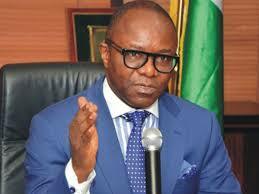 Kachikwu also reiterated how he had suffered such humiliating and disrespectful conducts from the NNPC GMD over the last one year. "It is in the spirit of service and absolute belief in your leadership and integrity that I have, after one year of tolerating this disrespectful and humiliating conducts by the GMD, decided to bring these to your attention." Uche Ozurumba, the spokesperson for the minister is yet to respond to requests for comments.